Cathy Giesick Realtor – "Life is short, buy the beach house!" "Life is short, buy the beach house!" Home is the center of our family. Raised with 8 brothers and sisters, our home was the foundation for our lives. My parents, in their late 80s, continue to reside in my Chicago childhood home. Our home today in Savannah welcomes our 5 adult children, their spouses, 2 grandchildren and a steady stream of family and friends visiting from across the United States. Southern hospitality is a way of life. Community also plays a vital role. I volunteer time by sharing the joys of my puppies at the local nursing home. My passions center on family and faith but I enjoy traveling, golf, and maintaining a healthy lifestyle. I am a licensed Realtor with Seabolt Brokers. 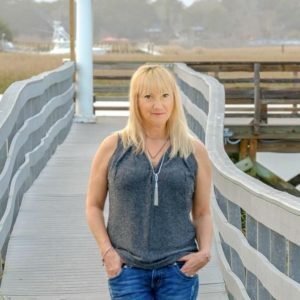 I specialize in representing my clients in the purchase and sale of single-family residences and income generating houses within/ near Chatham County. Buying and selling your home may be one of the biggest decisions you make. I'm dedicated to helping you through every part of the process. It pays to have the right information so you can make more fully informed decision for you and you family. Let's work together to turn your next residence purchase into your home. Reboot your home’s curb appeal with paint colors. It’s easy. Try out one or all of these nine colorful ways to make your home pop from the street. Cathy Giesick Realtor shared a post.